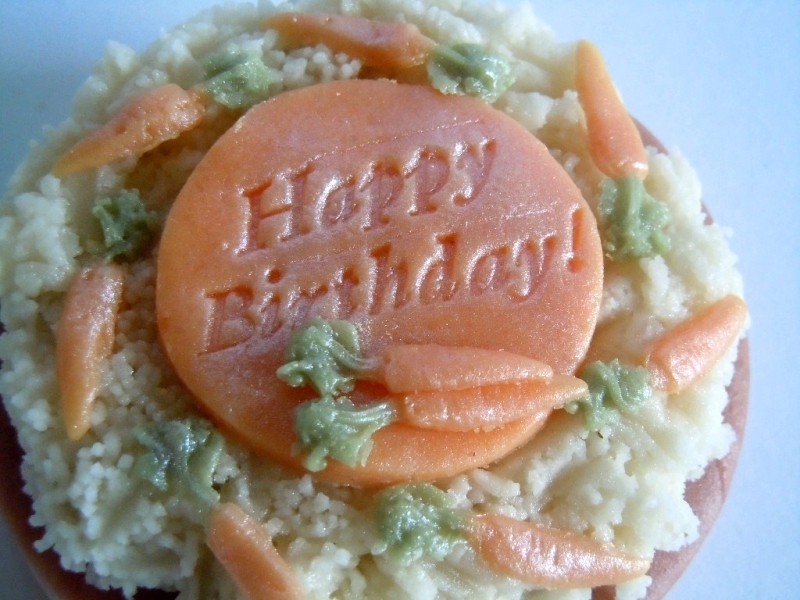 Tiny marzipan carrots decorate a 100% marzipan cake with layers of "sponge and cream" with a "Happy Birthday" message. 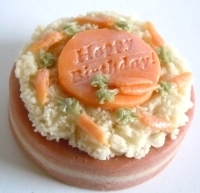 Choose a greeting or a short message of your own for a unique gift. 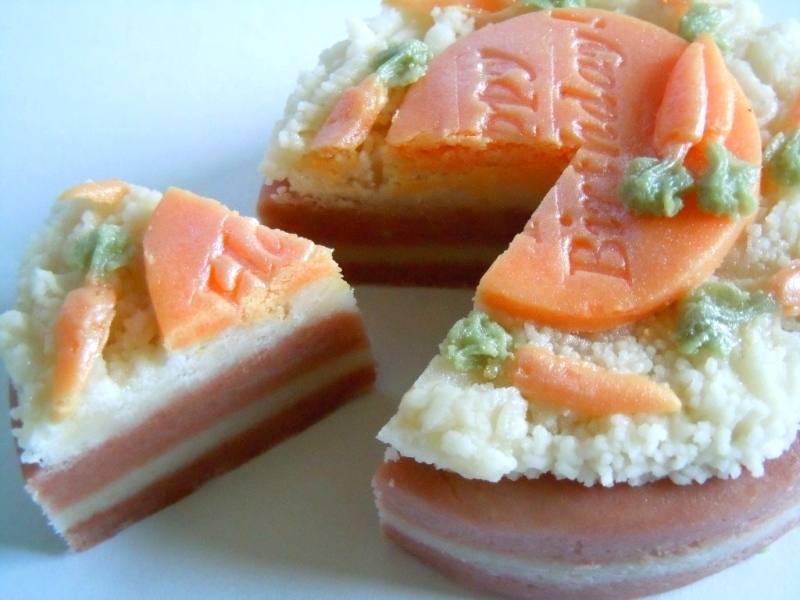 Available in plain almond marzipan or flavoured with cinnamon.